Resume screening and hiring can be one of the most time consuming tasks that a lot of businesses face. Your business relies on your employees to execute and complete the job that they were hired for. When you don't have the staff to fulfill your customers demands your business will loose money. Hiring the right person for the job is critical. The right team can either make or break your business. We understand how important it is to hire the right candidate for the job. Going through tons of resumes, applications, providing phone interviews, and emailing new employee job materials can be time consuming.This is the reason why we're dedicated to providing you with prescreened applicants that can fill your available job openings. Step 1: Choose the plan that best suites your needs. Use the custom form below to provide additional information that will be sent to your job screening team. Please include documents such as your job screening phone script and the details of your job ad. Click here for an example. Step 2: Begin the search for the right candidate . If you currently don't have an active list of applicants we will post your job ad on over 17 popular job sites such as Indeed.com, Monster.com , and Glassdoor.com . Once applicants begin to apply for the job we will review their resumes and contact the most qualified applicants. Once we complete a phone interview using the script you've provided we will email the most qualified applicants an application . Step 3: Hire the right candidate for your job. Successfully hire the best candidate for the job. 3. How do I determine which plan fits my business? If you're only looking to fill one position we recommend 6-8 hours of screening. If you are looking to fill 3-4 positions we recommend 17 hours of screening. 4. How many team members are assigned to my project? Two professional experienced job screeners will work diligently to call and screen potential applicants for your available position(s). Are you crunched for time? We can also provide online training orientations for your new candidates . 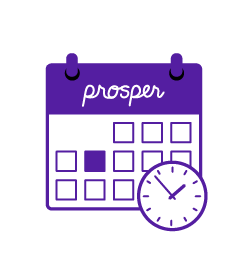 Plan & Prosper can provide new employee handbooks , customized new hire emails, powerpoint presentations, as well as train your new employees for you. Speak with a representative today about our additional services.